This week was all about sewing. I start having major withdrawal symptoms if I go too long without sewing. 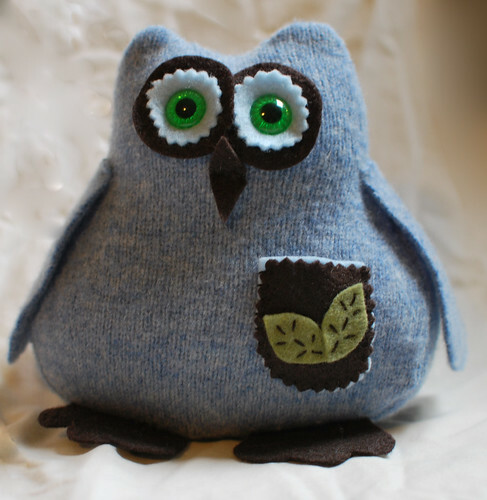 I am finding that what I really want to sew is stuff for me or the kids though. The week before last I did manage to finish a small wholesale order. This is Tabitha. She is living with a family in New Hampshire now. 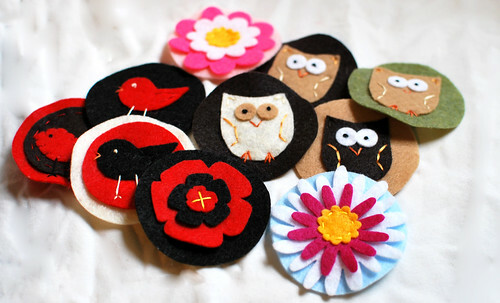 I also made some patches for her to put on items that she sews to sell in her shop. It was a nice change of pace. 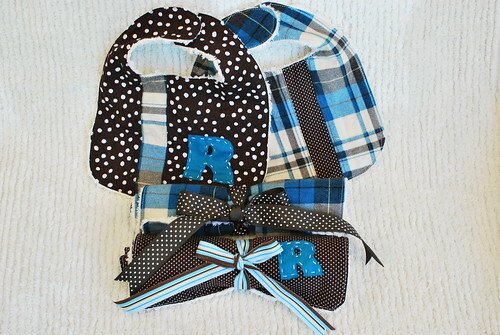 Then last week I made these bibs and burp clothes for a baby shower we attended on Saturday. You can't tell by the photos, but they are backed with chenille. 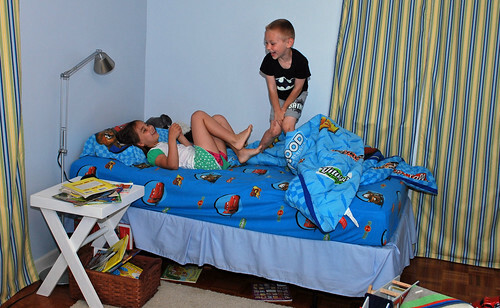 It is REALLY hard to find decent fabric for boys, but I was pleased with how they turned out. I ended up using stuff I already had on hand, which is always a good thing. It was rainy on Saturday so I had the perfect excuse to sew a dress for myself so that I would have something to wear to the baby shower. I have had the material and idea for this dress for at least a month now. So I am glad that I had an excuse to finish it. I took photos so that I could do a tutorial, but the photos are horrible. Guess I will just have to make another one, right? 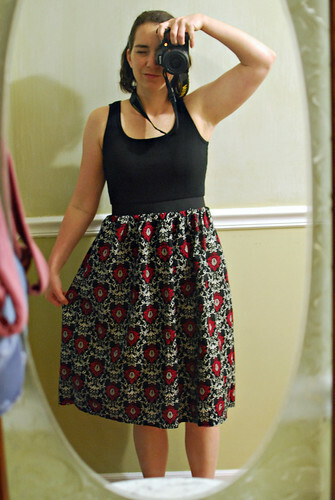 Here's a photo (see what I mean about horrible) before I made the belt. 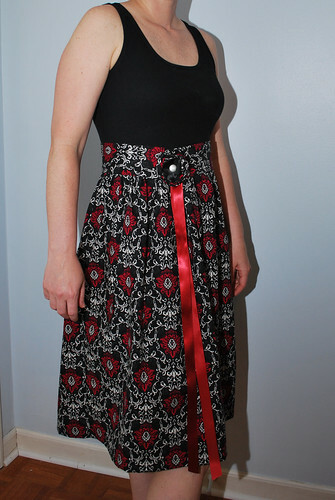 I used 2" wide elastic for the waist and it worked out perfectly. Here's a photo that my husband took of me last night. Yes, I cropped my head out of the shot. I was all sweaty from working out and had the most awful expression on my face. I wore a sweater shrug with it on Saturday, which made me feel less self conscious of my flabby arms. Plus it dressed up the dress some. This is what was happening on the other side of the camera, which would be why I had a crazy expression on my face. I'm always inspired by your stuff. the owl is toooo cute...and the dress....stunning. Love Tabitha! She is so cute. And using up your fabric - but it still looks like you planned it for a little boy - perfect! I LOVE the dress...I can't believe you are concerned about your arms, though...I think it looks great on you! I'm always amazed by how much you accomplish, and how cute is all is. that dress - love it! Such a pretty design and it fits you absolutely perfectly. But flabby arms?? I don't seem them.